EVErything is connected. Nothing is what it seems. 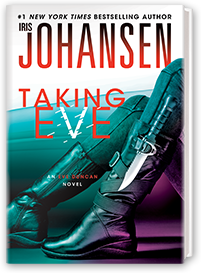 #1 New York Times bestselling author Iris Johansen brings us book two in a heart-stopping new Eve Duncan trilogy. This is the finale that fans have been waiting for. In Taking Eve, the game began. In Hunting Eve, the chase was on. Now, in Silencing Eve, the prey is cornered. Will Eve survive? Will those she loves take the fall with her? 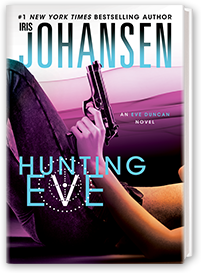 And will the secrets of Eve’s past ultimately become her undoing? 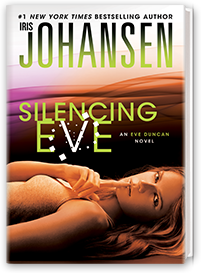 In Silencing Eve, all the questions will be answered in a shocking, you never saw it coming conclusion.